I think it’s fair to say that wine fascinates and fixates our attention pretty much non-stop. Obsessed? Perhaps. We often catch ourselves gazing lovingly at our favourite bottles and whispering sweet nothings into the rims of our wine glasses. At night, our dreams feature bathfuls, fountains, mountain lakes of vino… and upon waking, wine o’clock simply cannot come too soon. While our approach to wine might seem to be a bit on the extreme side, it’s not without reason. More so now than ever before, the wine scene both here in Australia and across the wider world is in a very interesting place, and developments are being made which no wine lover can fail to be excited by. On the one hand, things are going right back to basics: organic and sustainable wine making is very much on trend right now (and the results are better than ever), and on the other, new technologies, gadgets and innovations are taking wine making and drinking to new and thrilling heights. Every month that passes seems to bring about some new step forward on the never-ending march towards perfection. These range from the inspired to the absurd, from the game-changing to the downright silly… but no matter what the results might be, the wine world is determined to keep us all on our toes, and make sure that next glass is never far from our minds. With all that in mind, we’ve put together a brief rundown of some of our favourite innovations that are doing the rounds right now. There’s a weird and wonderful world of wine out there waiting to be discovered… and we love nothing more than exploring every single aspect of it. Who’s coming with us? When it comes to amazing innovations in winemaking, few things have impressed us more over the past few years than micro-oxygenation (or mox, as it’s known to its mates). While this technology isn’t particularly new, having been around since the 90s, it’s been progressively perfected throughout the past decade and is now helping winemakers in Australia and elsewhere deliver wines which punch well above their weight. In the past, making young red wines (something we here in Oz specialise in) as palatable as possible wasn’t the easiest of tasks. Normally, smoothing out all those rough edges and harsh tannins was a pretty big task, and something which took up plenty of the vintner’s time and talent. With mox, it couldn’t be simpler. This process essentially involves injecting maturing wine with shots of oxygen, which turns a simple wine vat into something more closely resembling a traditional wooden barrel perfect for authentic ageing. 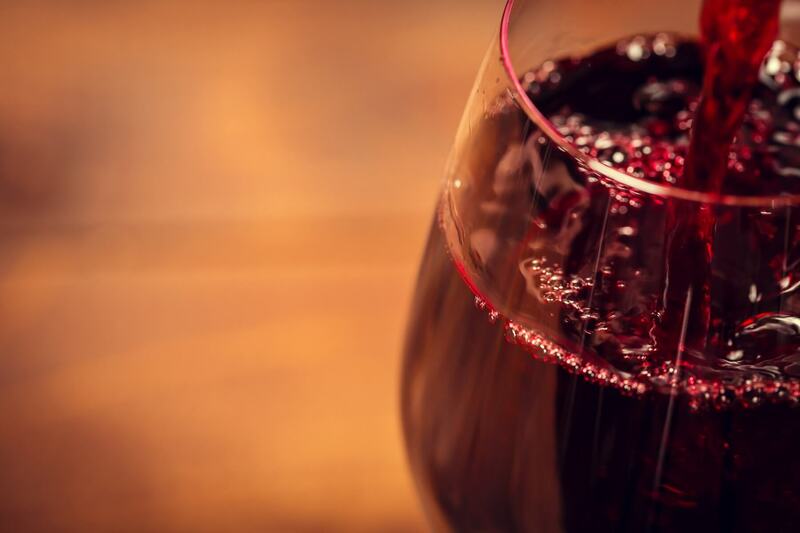 Mox allows the wine to slightly oxidise to the perfect degree, and gives young red wines the chance to be enjoyed at their very best - and who wouldn’t want to take full advantage of that? In the past, the wine industry was often guilty of not being the most eco-conscious of businesses. However, this is changing quickly… and about time, too. 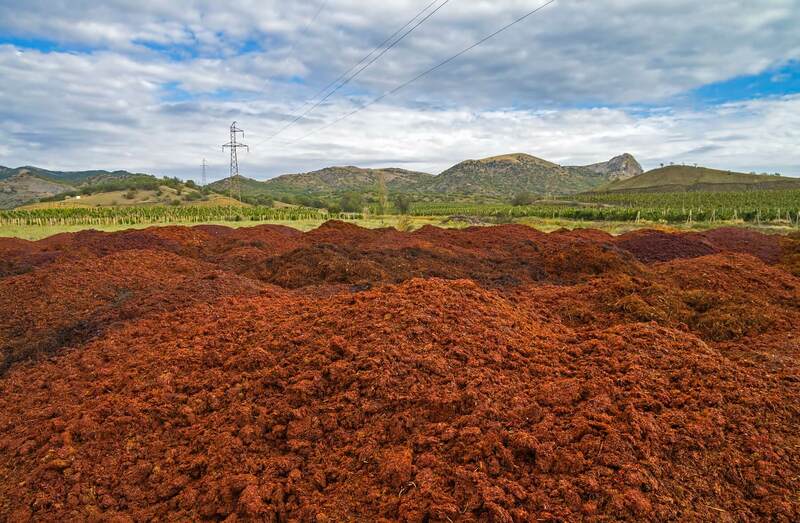 Alongside the massive rise in sustainable farming, many wineries right here in Australia are beginning to turn waste produce from the winemaking process into biofuel, further reducing their impact on the environment. While most biofuels require the regular planting of new crops (such as short-rotation willow), the wine industry is creating fuel purely from waste leftover materials created by the winemaking process, meaning an even smaller carbon footprint, and vastly increased fuel efficiency. The result? Cleaner fuel, and even more guilt-free drinking… not that we ever felt particularly guilty about opening that second bottle, anyway. If you’ve ever worried about your waistline while necking that third or fourth glass of Semillon, we’ve got great news for you. Low calorie wine is now very much a thing... and it’s finally sorted out its formula, meaning it not only stop you from piling on the pounds, but it also tastes pretty much as good as the full fat versions we know and love. It’s been a long time coming. Previous attempts at making wine healthier and less caloric generally resulted in flat and tasteless vino, with an alcohol content which made it more like a children’s party drink than a treat for the grown-ups. However, the latest rush of lo-cal wines (several of which are being made in Clare Valley) have impressed the critics, and it looks as though the coming years are going to be full of healthier wines for us to enjoy. Not convinced? 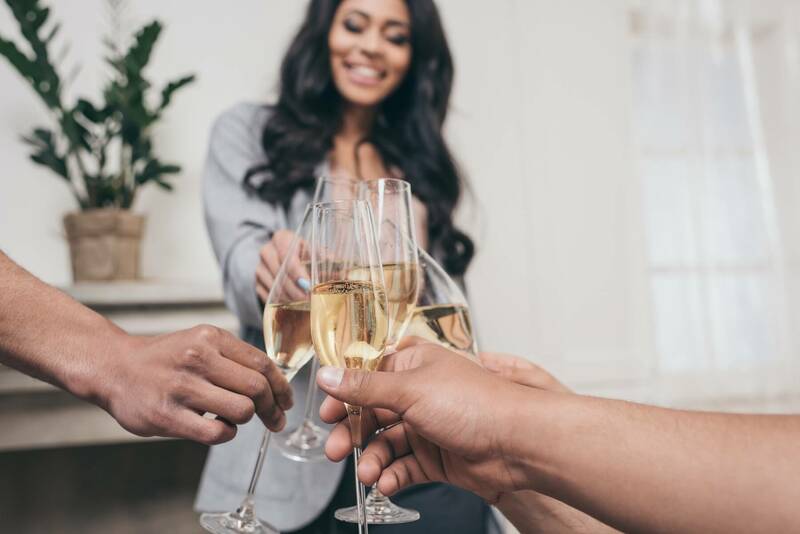 Don’t forget that Extra Brut Champagne (with its tiny residual sugar content) is one of the healthiest and lowest calorie wines out there… as if you needed an excuse to pop a Champagne cork this weekend! We’re constantly being bombarded with press releases and news items about the latest and greatest wine preservation systems and fancy next-generation pouring devices. Our reply to pretty much all of them is one of general bemusement - for one thing, we’ve never struggled to pour wine from a bottle, and for another, what need do we have of a preservation system? Wine doesn’t hang around for long at The Wine Gallery HQ, and leftover wine in the bottle has, frankly, never presented itself as a problem. Despite that, we were quite impressed by the latest release from Coravin, whose technologically superb and user-friendly devices have long since led the field in this regard. 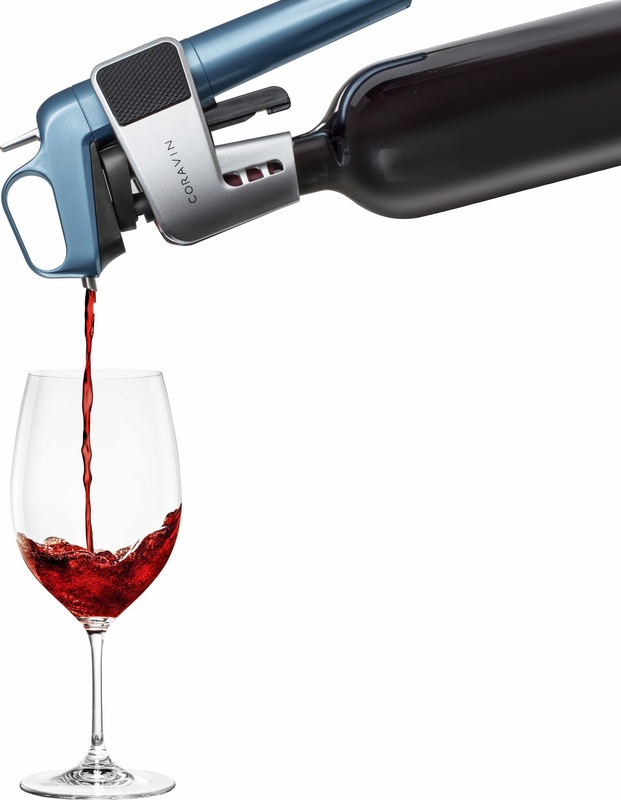 Their newest wine pouring and preservation systems are just damned clever, and allow you to pour your wine without actually removing the cork from the bottle. With the use of their device (which involves all kinds of things, including needles and argan gas injections) you get perfectly poured and aerated wine, and whatever’s left in your bottle stays fresh and perfectly enjoyable for months afterwards. They say that pregnancy is a wonderful time for women, but we’ve never been so sure. Swollen ankles, morning sickness, and lugging around a load of extra weight doesn’t sound like our idea of fun at all… let alone the fact that it’s generally not advised to knock back a few glasses of wine each evening to take your mind off it all. Mums-to-be worldwide, therefore, are celebrating at the recent release of wine specially made for pregnant women. OK, so it doesn’t feature much in the way of alcohol, but it is made from quality South Australian grapes, which are processed in much the same way as any other wine (while being kept at 0 degrees to halt fermentation)... meaning you can at least pretend you’re still part of the party while you’re expecting. The world of cuisine is changing fast, and sommeliers across the globe are in a constant struggle to keep up with all the latest foodie trends which demand decent wine pairings. It’s long been predicted that insect-based food trends are on their way (not least because of the need for carbon-friendly protein sources in these uncertain times), and this has presented a particular set of challenges for those, like us, who refuse to sit down for dinner without a full glass of wine in front of them. 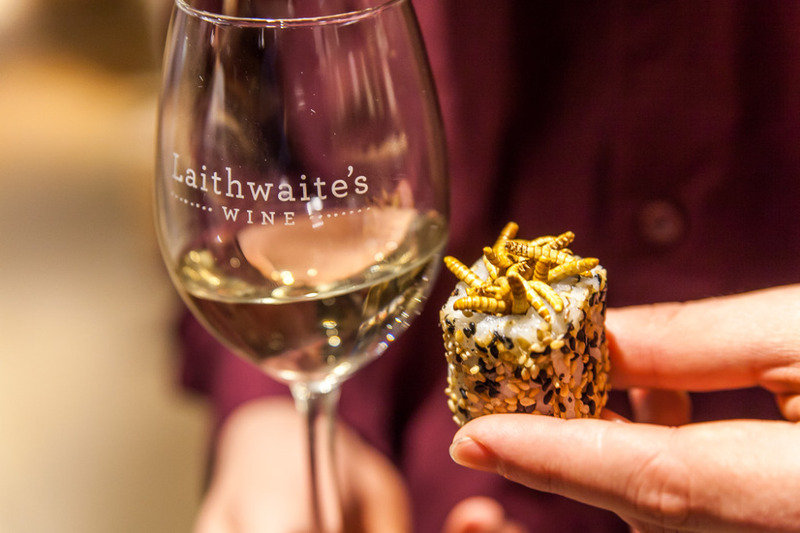 Mealworms: Popular in Mexican cuisine, these nutty critters work best with Clare Valley Viognier. Zebra Tarantula: Supposedly tasting a bit like fish when deep fried, these creepy crawlies pair nicely with a crisp Chardonnay. Scorpions: Bitter, powerfully-flavoured and not for the faint-hearted, Scorpions need a fruity red. Laithwaites recommends a Romanian Pinot Noir (which we’re loving at the moment, although not necessarily with this pairing). Ever had to go to an event or festival at which you’re not allowed to bring your own bottle? Life can seem more than a little unfair at such moments, but women (and maybe some men) of the world have reason to rejoice: the wine bra has landed, and brings with it the solution you’ve been searching for. Not only does it allow you to sneak your Malbec into the movies, it also gives you an instant lift in the chest department… although we can’t say for sure how appetizing that bottle is going to be once it’s spent time warming up under your jumper.